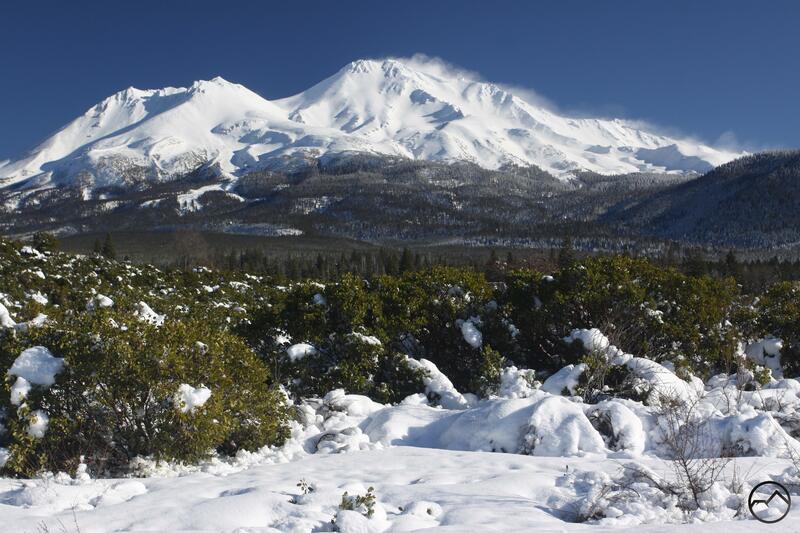 A fresh layer of snow blows off of Mount Shasta. 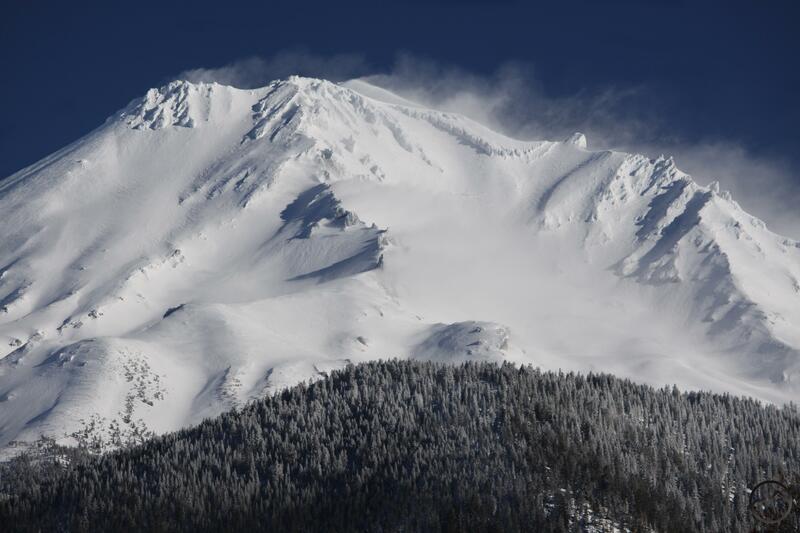 As predicted, a large storm moved through the Mount Shasta area over the last few days. I am not sure of the precise amount of snow that fell but it looks like a foot or so in town. My house is higher up and we always get significantly more snow. All told, we got about 2 feet. This was easily the best storm that has passed through since March of 2011. It is blue sky and sunshine right now and will be for the next couple of days. After that, the forecast is saying another heavy storm is going to come in and dump even more snow. If the forecast is accurate then we could get even double what we got the last couple of days. Yikes! In town, there was a flurry of activity as tractors and plows dug everyone out. There was not as much snow in town but there was still a significant amount. It was a great sight, considering how bad the drought has been over the last few years. With last winter being moderately good and the heavy rains filling Shasta Lake this past autumn, I would suspect that this storm alone may be enough to push the lake back up to its maximum capacity. And there is still more on the way! If you have the opportunity, get out to the Ski Park. Conditions must be perfect! Time to get myself dug out again. I will post some more pictures and report on conditions after the next storm passes through. Wow – the mountain looks beautiful under that blanket! Thank you for the historic pictures! Beautiful pic. Went snow shoeing today and the snow was nice and light with blue skies. It was perfect today, wasn’t it!